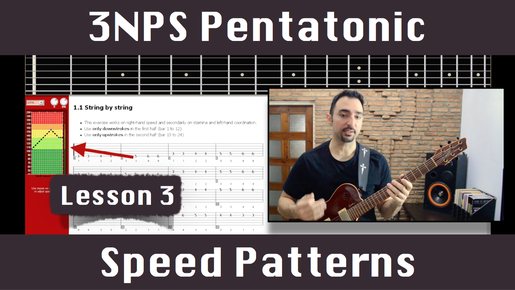 Increase your speed and improve your accuracy with lesson 3 from the '3NPS Pentatonic Speed Patterns' technique crash course (use the link to get the complete crash course for free). 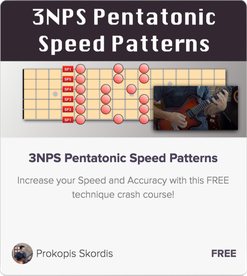 In "3NPS Pentatonic Speed Patterns" I help you increase your speed and improve your overall guitar technique using patterns built on 3NPS pentatonic fingerings. These patterns sound great and we 'll discuss how to inject them directly into your soloing, but this will not be our only goal. The main benefit from this course will be the universal skills that you will gain, which will make you a faster and more accurate guitar player.